If you're looking for a mattress that's going to change your life and sleeping habits for the better, look no further than Casper. Casper, only a few years old, has become one of the most loved mattresses of all time and has basically revolutionized how people sleep–and shop–for mattresses. The bedroom is where the magic happens, after all. 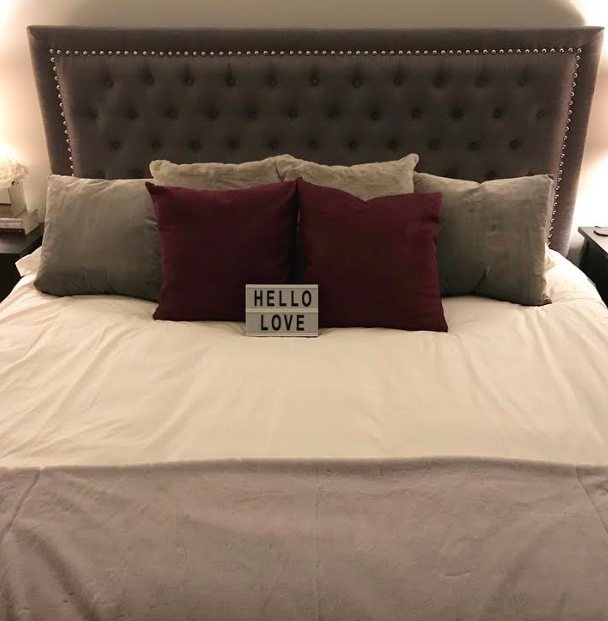 We just completed our master bedroom renovations, (thanks to my husband for installing our new hardwood floors, painting the walls, assembling our new furniture, and putting together our Casper) and our bed is our favourite part of our new room. Why do we love the Casper mattress so much? Simply put, it's the most comfortable bed we've ever slept on, and this includes all the wonderful beds we've experienced in all our favourite hotels. 1. The Casper mattress is comfortable. It's a perfect combination of a breathable, open-cell comfort layer and memory foam, offering incredible support, no matter your sleep position. 2. It's a hassle-free shopping experience. Casper conveniently ships to you in a compact-sized box, making it easy to transport up and down stairs. All you have to do is open the box, and your mattress is ready to go. Casper makes shopping simple and painless. 3. They have excellent customer service. All mattresses (as well as the Casper line of sheets, pillows, and duvets) come with a 100-night, risk-free trial.This means you can sleep on your sheets, relax on your new pillows, and try out your new mattress for 100 days and if you're not completely in love with it all (but you will be, trust me) they'll send over a courier and remove the products from your home and donate them to a local charity or have them recycled. 4. Casper foams are certified Certipur, which means they're ultra-low VOC and held to the highest environmental production standards. So there is no weird smell like some memory foam mattresses tend to have. It's perfect to sleep on from day one. 5. You'll sleep better. We went from a Queen to a King, and it was the best decision ever. But beyond the larger size of our bed, the Casper mattress makes sleeping more enjoyable because of the combination of pressure-relieving memory foam under a springy, breathable comfort layer. The top layer provides just enough sink, so you'll always feel fully supported by the pressure-relieving memory foam layer underneath. 6. You'll sleep cool. No more getting hot in the middle of the night. The Casper is designed to help you sleep cool, thanks to the open-cell top layer which uses convection and conduction to flow heat away from your body. Also, the memory foam layer leverages airflow to pull heat out of the top layer, leaving you cool and comfortable all night long. 7. They did their research. Casper mattresses are as comfortable as they because of the intensive research and continuous development from their San Francisco research and development team. Casper mattresses have received incredible praise from Consumer Reports, and Casper was named one of Time magazine's best inventions. 8. It's popular. And rightly so. Casper has quickly become one of the fastest growing consumer brands of all time. 9. The Casper mattress is backed by a 10-year warranty, so no matter what happens along the way, you know you're safe and protected. 10. They sell it all. Casper not only sells comfortable mattresses in all sizes, they sell the foundation and bed frame that also ship in compact boxes to your home, and are easy to assemble. (Super easy, in fact). The Casper foundation works like a standard box spring, and is engineered to provide excellent support under any mattress. 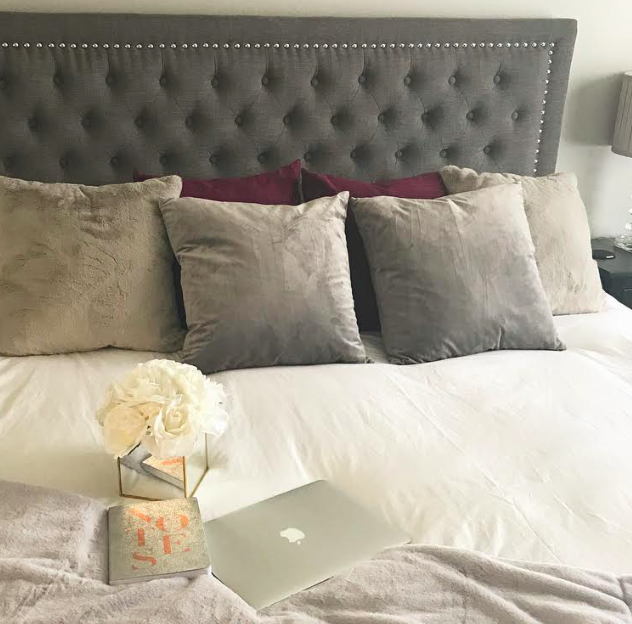 As much as we love the mattress, sheet set (the fitted sheets are a dream, and the duvet is oh-so-cozy) their pillows are amazing, too. The Casper pillow-in-a-pillow is designed to stay supportive, cool, and comfortable all night long, regardless of sleeping position. It's got the perfect balance of squish and support. (The inner pillow is supportive, and the outer pillow adds a soft comfort). After a lot of research, we decided that the Casper mattress was the perfect one for us. 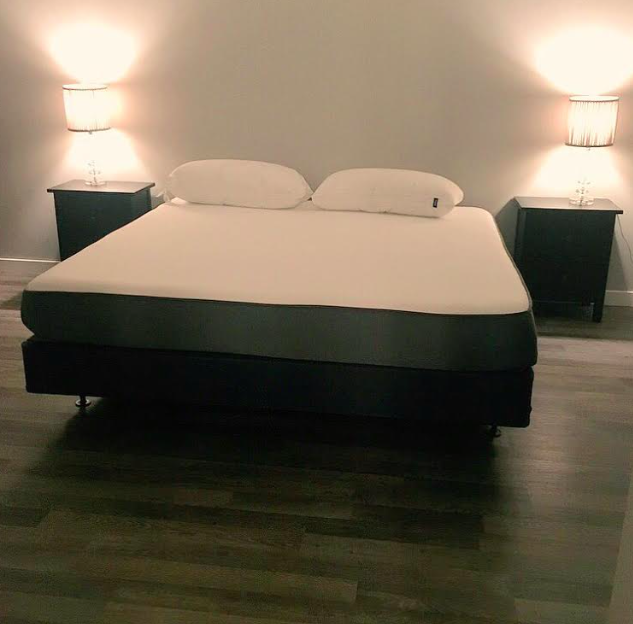 I'm so thankful I was given the opportunity to partner with Casper for my bedroom renovation. We could not be happier, and we recommend the Casper to all our friends, too, some of whom are in the market for a new mattress, as well. With Casper, bedtime is that much more fun. And I'm suddenly getting more than five hours of sleep a night... imagine that! I'd love for your try Casper, too. I have a promo code for you to use which will save you $75 off your new mattress. When you're checking out, just enter Loukia75 as your promo code. Disclaimer: I have partnered with Casper on this review and have received a new mattress, bed frame, foundation, sheet set, pillows and a duvet in exchange for my honest review. All views and opinions are my own.